Hiatus Kaiyote is not a band you can easily place in genre. In fact, it’s not even a band you can easily describe. Almost none of their songs follow the patterns we’re used to, ie: verse-chorus-verse-chorus-bridge-chorus. They are a breath of fresh air; breaking away from the monotony of simple song forms, and choosing to treat each of their songs as a musical journey or painting. Part funk, part R&B, part jazz, and influenced by a myriad of other genres and sounds, this band’s unique blend of influences creates an aesthetic that’s entirely their own. They have a very specific vision of how they want want to sound, and they execute it perfectly. Their single ‘Shaolin Monk Motherfunk’ is a perfect example of what has become Kaiyote’s trademark. This tune develops much like many of their other songs. It starts out very ambient, without a definite beat. After a few bars, the bass is introduced by Paul Bender, with sparse keyboard work by Simon Mavin creating a solid frame for the more nebulous intro. Before you know it, you’re lulled into a solid groove which is punctuated by a sweet chorale by Nai Palm, Hiatus Kaiyote’s lead vocalist and guitarist. Then the main groove of the song starts, with Perrin Moss and his exceptional drumming providing the backbone. Their blend of complex rhythm and harmony is very well rehearsed, which allows Nai Palm to be as rhythmically expressive as she wants without sacrificing the integrity of the music. The rest of the song takes you on a trip, highlighting various musical styles such as jazz, swing, and dance techno. If you listen closely enough, you can hear each of these styles outlined in various sections of the tune. With each listen you uncover more and more of the hidden intricacies and artistry of the song, so it’s sure to be a tune you wont easily be bored by. I’ve listened to this song every day for almost a month and I’m STILL finding new things I like about it. 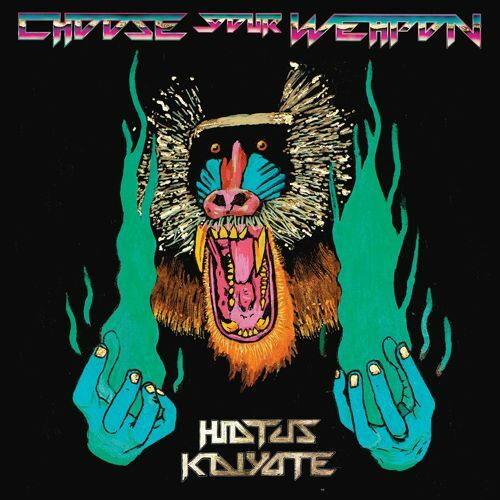 If this single was your jam, then you’re in luck, because it’s part of Haitus Kaiyote’s new album, Choose Your Weapon, which dropped May 4, 2015. Hiatus Kaiyote is also currently on tour, so be sure to check their website for more info. Here is a link to the studio version below. Adam is a 22 year old jazz trumpet player from Lynchburg, Virginia. He started studying music at the age of 11 and decided to continue his education in college, where he is currently pursuing a degree in jazz studies.